On Wednesday, Miles Franklin will be set up to provide off-shore purchasing and storage facilities for precious metals in Switzerland. We have more than a decade-long history with the people who run this program and are 100% comfortable with all aspects of it. Call Bob Sichel (1-800-822-8080) for information. I will write a detailed article on the program this Thursday or Friday. With all of the recent rant about confiscation and new reporting requirements, this option is more important than ever before. Contact Bob for information. Seven years ago, in Montreal, the Miles Franklin gang took Bill Murphy and Chris Powell out to dinner. David and Andy Schectman are seen in the photo, with Bill and Chris. Andy’s wife Zhanna took the picture. I don’t know where my wife Susan was at the time, but she was part of the group too. Bill reminisced about our dinner in last Friday’s LeMetropole Café and published the following…. Bart Kitner of Kitco note was most gracious on Friday night, taking a big group out to his favorite restaurant, Gibby’s. All the restaurants we went to in Montreal were outstanding. The following evening, Chris and I were the guests of The Schectmans; David and Susan, their son Andy and his Russian born wife, Zhanna. 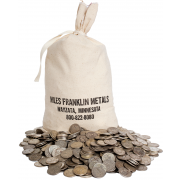 David and Andy are partners in Miles Franklin Ltd, a flourishing coin dealer operation in Minnesota. That was a lot of laughs. Good that Chris and I had to be home early for an 8 o’clock GATA panel discussion the next morning with Reg and James. This is a good one. Just think about what the gold and silver prices were back then and how much money the GATA supporters have made with their gold and silver investments by understanding and supporting what we had to say. You would be shocked to read the gold analyses of the mainstream gold world and Planet Wall Street back then. Most of them were neutral to bearish, and still are. David and Andy Schectman studied what GATA had to say, bought our analysis, and used it to their advantage. Well, the point in bringing this to your attention is that David offered to auction one of his several GATA prints (can’t buy them as far as we know) to raise some money for GATA. As it turns out, GATA received the most extraordinary monetary gift from an individual that we have ever received. This most unusual person stunned us with his generosity, which was a HUGE deal for GATA, in order that we can carry on at the highest professional level with what we do. His gift to GATA was astonishing to say the least. We approached David, saying that we would love to send our young benefactor the most appreciative thing we could do … that being a GATA print. A most gracious David agreed that made sense, and that is what we have both done. GATA cannot thank our unusual supporter and David Schectman enough for their special efforts which will enhance our further success. So there you have it. Who is right? I don’t know, but I’m sure we’ll hear a lot more about it in the next eighteen months if there really is going to be an issue. For those of you who are already panic stricken… I’d suggest you wait until the real facts show up. And they will. Consumer credit is collapsing and the Baltic Dry Index is sinking fast. These are key gauges of future economic growth – or lack of it. In the Friday edition of the King Report. It was pointed out that May consumer credit tanked $9.1B (-4.5% annualized) while April was revised sharply lower, from +$1.0B to -$14.9B. Revolving credit collapsed at a 10.5% annualized rate. (Non-revolving credit -1.5%). “Lower income, no job growth and plunging consumer credit can mean only one thing economically.” That’s why the trial balloons are already out for Q.E. 2.0. The King Report also pointed out that the Baltic Dry Index plunged 4% on Thursday, the 31st straight daily decline. The BDI is a leading indicator… and it is pointing straight down. Friday evening, Susan and I went out to dinner with two of our dear friends. I sat through a lecture that according to several prominent money managers, the stock market would be stable going into the election and that it would do well until, and unless Obama would be defeated in 2012. First, when it comes to the stock market, and the primary trend, the vast majority of money managers, fund managers and analysts have been wrong for a decade. The Dow is at the same level same today that it was 10 years ago. No growth. Yet they were bullish on stocks all the way up and I bet none of these “experts” ever sold their clients out along the way. There was a “dead cat bounce” after the collapse in 2008 but my view (and Richard Russell’s) is that the Primary Bear Market that started in 2001 is still in force and the recent move up is just a sucker move up in a Primary Bear Market. The bottom is not yet in. I believe that it will be obvious by the end of the year. Second, even if stocks do go up from here, it is not terribly important to me. What is important is the relationship of stocks to gold, how are they doing relative to each other. In 2000 it took 40 ounces of gold to “buy the Dow.” Gold $250/Dow 10,000. 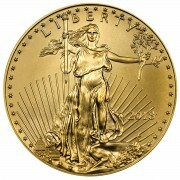 Today it takes 8.4 ounces of gold to buy the Dow. Gold $1,211/Dow 10,139..
Notice the long-term trend. It took 40 ounces of gold to buy the Dow in 2000 and now it takes but 8.4 ounces of gold. Gold has outperformed the major stock market index by 4.76 times in the past decade. $100 into the Dow in 2000 still equals $100. The same $100 into gold equals $476. If the Dow rises, the only reason will be because massive Fed created inflation is finally starting to hit the markets. What good is it if the Dow rises 8% if inflation is 8%? Inflation is currently 8% (John Williams honest and accurate numbers on Shadowstats) and it is about to start rising. The chart below, shows you what causes inflation and if this chart doesn’t scare you or alert you to the horrible inflation that is around the corner than I really don’t knowwhat more I can tell you. The Fed has TRIPLED the adjusted monetary base in 18 months!!! 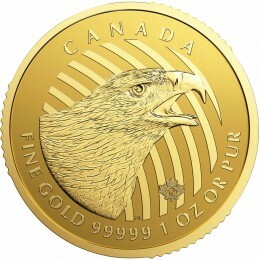 Gold will be $1,650 by February,according to Sinclair and he HAS BEEN RIGHT all the way up. That means gold will rise by 36.25% in the next 7 months. Who cares what the stock market does – it can’t keep up with gold and hasn’t for 10 years. The following chart shows us that the stock market, in relation to gold, has been falling for nearly 10 years. David Galland, from Casey Research, wrote the following: At gold’s bottom in April 2001, the Dow/Gold ratio (DJIA divided by gold price) was 41.2. 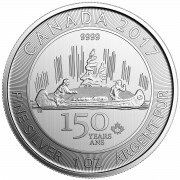 It now stands at 7.9 (as of July 2). When gold peaked in January 1980, the Dow/Gold ratio reached “one,” meaning they were both selling for about the same price. To hit that same ratio today, gold will have to go higher and the Dow simultaneously lower. The fundamental reasons gold will rise are far from over, and a second leg down in the broader markets seems almost locked in at this point. In this context, Doug Casey’s call for a $5,000 gold price doesn’t seem so farfetched. It also coincides with his call for a Greater Depression, an environment not exactly suited for higher stock prices. $5,000 gold = 5,000 Dow. Where do you think they’ll meet – three? Eight? This has obvious implications for your investments. If you’re investing for the big picture, you first want to think twice about any conventional stock investment. Second, you should plan on higher gold prices. While pullbacks are inevitable, it does mean that even if you don’t own gold yet, it’s not too late. In fact, any excuse you have now for not buying gold will seem shallow and meaningless when the dollar begins cratering and so does your standard of living. Strategic default: It’s not just for middle- and lower-income brackets anymore. In fact, one in seven homeowners with a seven-figure mortgage — a million or more — is “seriously delinquent.” At least that’s according to data crunched by First American CoreLogic for the NYTimes. Below the $1 million mark, it’s one out of 12 homeowners. The rare earth squeeze just got a little tighter. China is slashing its export quota of the metals by 72% for the second half of the year. Since China already accounts for more than 90% of global production of these elements — they’re used in everything from LCD screens to hybrid cars to guided missiles — this is a big deal. Bloomberg News says the Obama administration is quietly working with business groups and unions to build a case to bring before the World Trade Organization.